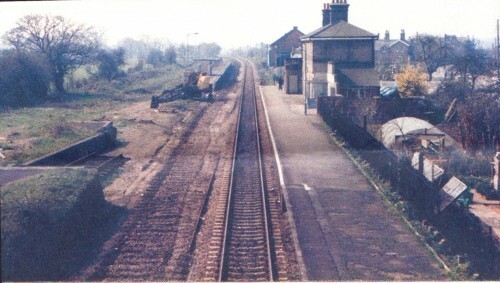 When the railway at Campsea Ashe was first laid it was a double track, but in 1985 it became single track and has remained so ever since. 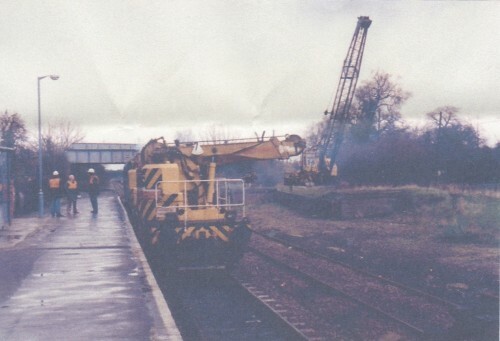 We are grateful to an ex-resident for sending us photos taken in April 1985 of the track being removed. 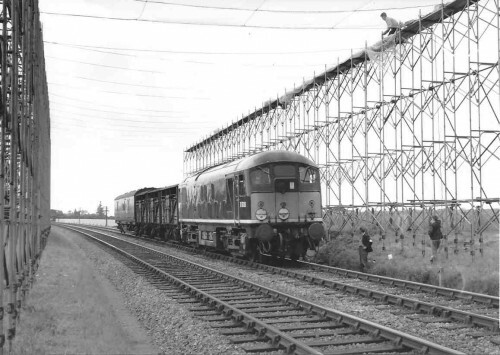 In the late 1950s/early 1960s the power lines from Sizewell Power Station were erected and had to cross the railway near to Campsea Ashe. 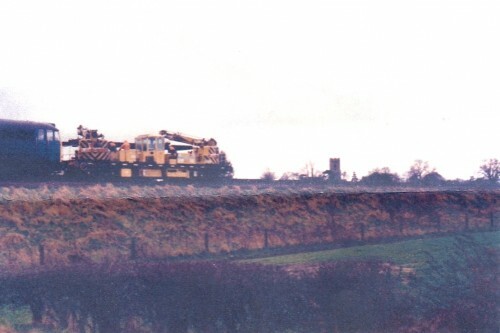 This photo shows how it was done. 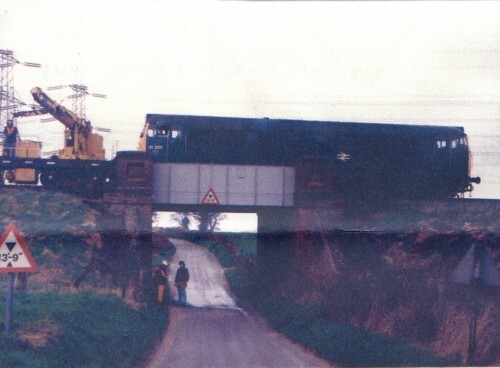 We are grateful to Dr Ian C Allen and the Transport Treasury for permission to reproduce the photo. An ex-resident of the village kindly went to the trouble of obtaining this permission and provided us with the photo and we appreciate his kindness.